Coaches are either smarter or less daring than the cameraman. 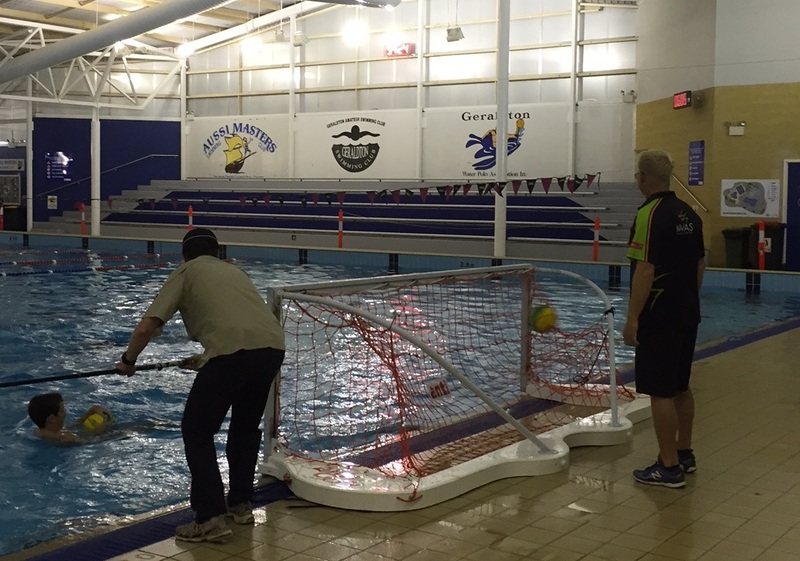 Mark from Dragonfly is going the extra yard to get the good shot right in the firing line during water polo training at the Geraldton Aquarena this morning. Meanwhile, Coach Ray is happy instructing from behind the protection of the goals. He is also showing faith in the athletes that the ball will actually go “in” the goals so he is safe! All part of an exciting promotional video Dragonfly is putting together for MWAS.